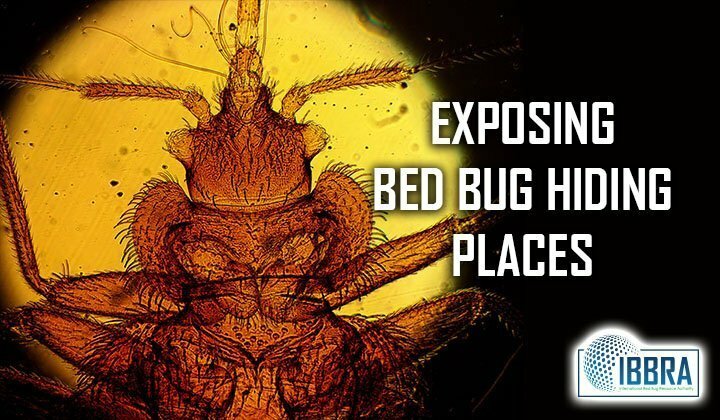 Above you will see pictures of what bed bugs look like, but do you know how to identify one hidden away in your home or personal belongings? As their name implies, bed bugs are commonly associated with areas where we sleep or relax. Bed bugs are not just in beds and can be found in dressers, chair cushions, sofas, behind electrical outlets, in folds of draperies, clocks, phones, shoes, cracks and crevices, under carpet tacks, around baseboards, picture frames, under the bed, in books, door hinges, light fixtures, in wheelchairs and in or under any clutter or objects near a bed or lounging area. You must be extremely thorough during the inspection process and be sure not to rush through. BE CAREFUL NOT TO REMOVE anything from the premise you are inspecting. If anything is removed, it must be bagged and sealed correctly. During inspection avoid sitting, leaning or placing anything on beds or couches or chairs. Bed bugs may be in different stages during your investigation. Don’t be discouraged, in a short period you will be trained to look for sure telltale signs that improve your due diligence. Tools that can make your search easier include a flashlight, a magnifying glass, a screwdriver (for disassembling items) and sealable plastics bags in several sizes. Look on your bedspread, blanket, duvet, throw pillows (don’t forget teddy bears or any other stuffed animals or toys), or any other coverage you may have on your bed. Examine your sheets and pillowcases, too. Pull the bed out and away from the wall and remove the headboard. Carefully examine the headboard front and back for any signs of bed bugs. Carefully examine the surfaces paying close attention to folds and depressions. Then move on to the piping (both upper and lower sides) around the edges of the mattress using the flashlight. If the mattress has buttons, examine them for any signs. Flip the mattress and examine the same on the other side. Sometimes they crawl into the mattress through grommets or tears and cuts. Examine the box springs. On the back of the box spring is a fabric stapled in place that has to be removed. Bed bugs love to crawl inside the box spring between the staples. Carefully check for bed bugs where the material is folded under around the edges. Using a flathead screwdriver, remove the back material, then carefully examine the inside wood frame as well as outside using your flashlight. Using the LED light and magnifying glass to look close in closets and dresser drawers, couches, loveseats, pullout beds, recliners and easy chairs, all other non-washable items, curtain, shutters and blinds, electrical items and outlets, animal bedding. Don’t stop there; bed bugs can be found in nightstands, dressers, pictures on the wall, hanging lamps, bed trunks, bookcases, easy chairs, and clocks. You get the picture. Once a person has to do a thorough inspection for bed bugs they soon realize that cleaning up clutter BEFORE you get bed bugs is the smart thing to do! 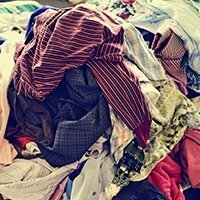 If you should discover bed bugs; plan on spending a lot of time doing laundry for all clothing and fabrics. You must be careful while transporting anything out from the infected room(s). Wash and dry these items on HOT and place them into sealed bags or sealed storage bins and set aside. Do not bring these back into the room you are treating. (You can use a garage, porch or basement). It isn’t necessary to wash all items. Items that are clean can be placed directly into a hot dryer for 40-55 minutes, bagged and set aside. In most cases, it is not necessary to dispose of furniture, before treatment. 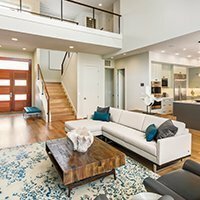 Depending on the size of the infestation, the condition, and age of the furniture, most infested furniture can be cleaned and treated. If you must discard anything, don’t do it without wrapping and marking it. In many cases, the money spent on replacing furniture might be better spent on professional treatment. Whenever discarding items are sure to wrap, seal and mark items (Bed Bug Infested), before disposal. Someone’s trash is another’s treasure and can fall into the hands of someone who now brings bed bugs into their home spreading the infestation throughout the community. If you decided to discard any furniture items and need replacement – do not replace anything until your treatment is 100% successful. You risk infesting your new furniture and having to start treatment all over again. So you’re pretty sure you’ve got bed bugs? Why not kill those bugs yourself? Shop our DIY store or rent bed bug heaters from one of our certified bed bug heater rental professionals! As you may be aware, bed bugs can affect anyone. Although they may not be picky insects, there are a few ways that you can prevent them from coming home with you. 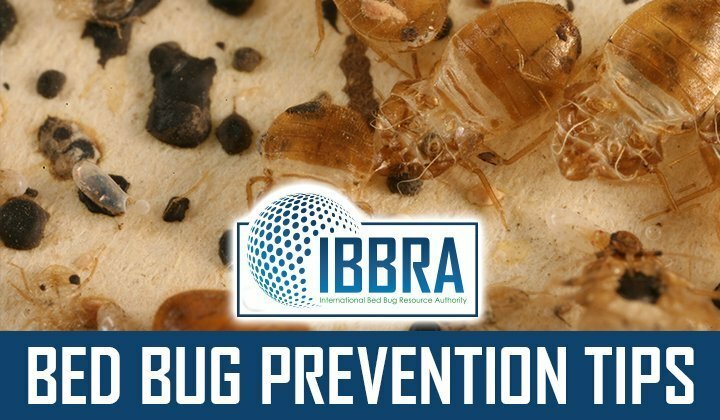 The experts at IBBRA have compiled the list below to help you prevent a bed bug infestation. Bed bugs are experts at hiding and finding them can present quite a challenge. Heavily cluttered dwellings create a million and one places for bed bugs to hide. If you have piles of boxes, newspapers, magazines, clothes, or just “stuff,” it’s time you clean it up. Doing this will make it easier to find them if you should ever get them. Change your bed linens regularly; check piping on mattresses and box springs for early signs. Vacuum couches, chairs and carpets regularly. Take away as many possible harborages for bed bugs; Separations between baseboards, grout, seams of wallpaper, crown molding, door jams. Clear silicone fills these areas so bed bugs cannot enter. Consider replacing worn carpeting with tile; and because bed bugs travel along routes created by pipes, cables and electrical conduits, seal any openings where pipes, wires or other utilities come into your home. Consider modern clean-lined furniture which is less hospitable to bed bugs. The smoother and harder the furniture, the less likely that a bed bug would find a place to hide. Take into consideration the ease of decontamination should you get bed bugs. Would the finish stand up to treatments like hot steaming or scrubbing? Can cushions be removed or put through the dryer? This step is especially important for the hospitality industry. Avoid shopping at thrift stores, pawn shops, and Craig’s list. Be mindful of anything borrowed or given to you or discarded furniture or mattresses found at the curbside. Any of these items should be thoroughly inspected for bed bugs before bringing them into your home. Use a large plastic self-locking bag to contain items like computer bags, purses, jackets, backpacks, and lunch boxes when transporting them back and forth from work, school or places visited. Be sure to inspect all items a visitor may bring into your home or workplace. These include any out of town guest, maintenance and service people, delivery people, salesman, and social workers. Need help getting rid of bed bugs? Contact one of our certified providers today!